Big sale on Oregon Sea Grant publications and videos! Now through February 28, 2014, Oregon Sea Grant is offering 20 to 30 percent discounts on all its publications and videos. 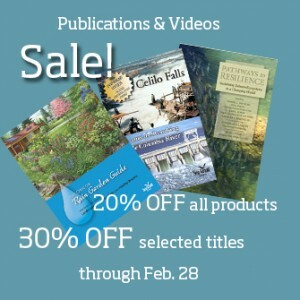 You can purchase most of our publications and videos (including such favorites as the Oregon Coast Quests Book and Boats of the Oregon Coast) at a 20 percent discount, but three are available at a 30 percent discount—Pathways to Resilience, The Oregon Rain Garden Guide (printed copy, not pdf version), and Celilo Falls DVD. To purchase online, go to marketplace.oregonstate.edu and use these promotional codes: 28Feb20% (20% discount) or 28Feb30% (30% discount available only on the three products mentioned above). Please note that you might not be able to use both codes in one order, so you may need to place two separate orders if you wish to use both codes.